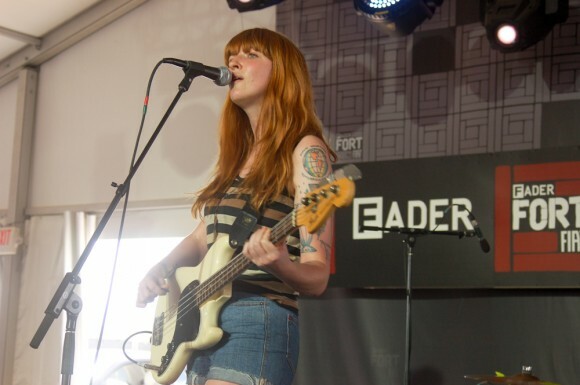 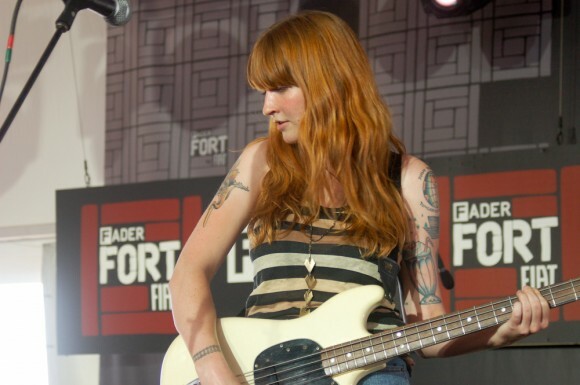 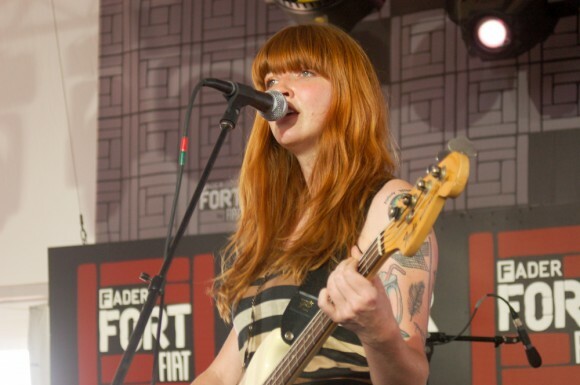 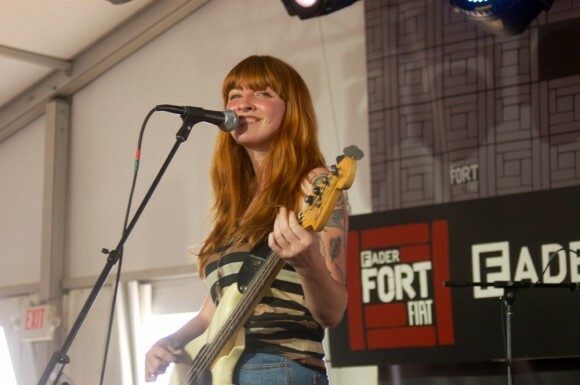 La Sera, the side project of Vivian Girls’ Katy Goodman came next at the Fader Fort. 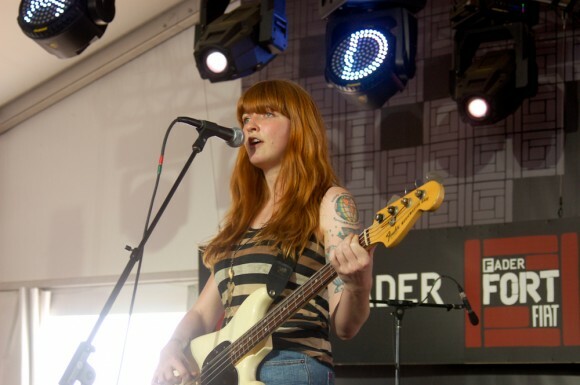 Goodman has a unique, subtle sound. 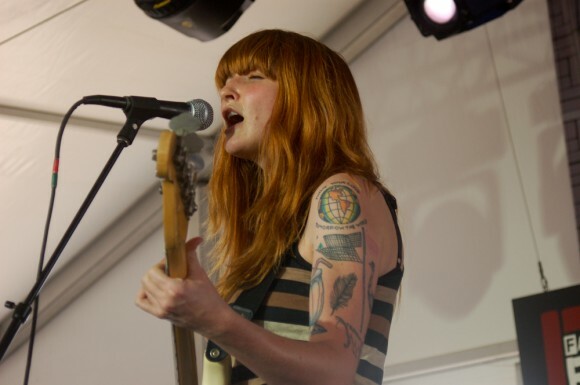 On the surface it has the breezy folksy demeanor of a vintage 70’s pop band, but Goodman’s lyrical content is one of counter culture. 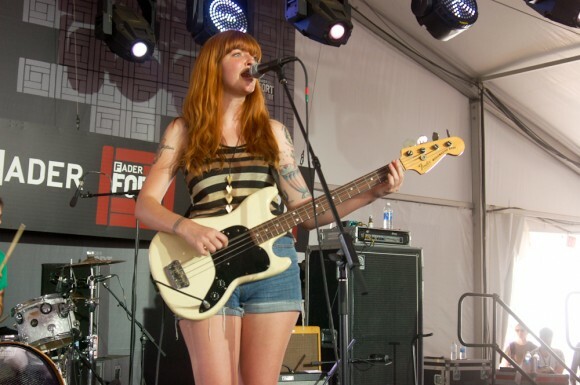 A petite redhead lightly thumping out bass lines, Goodman will no doubt be inciting much discussion because of her looks as her music too. 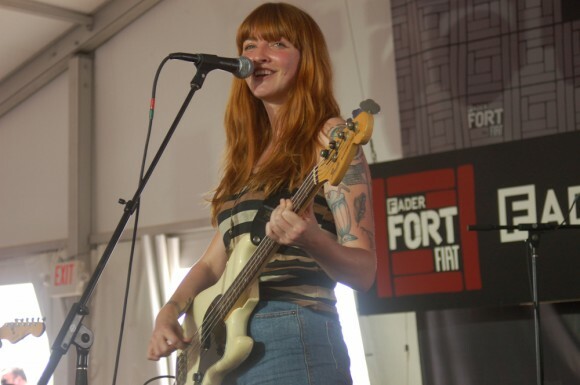 La Sera here at the Fort was a solid performance and after all the high-octane shows this week, it was a nice change of pace, but it didn’t quite gel together the way it does on their self-titled debut album. 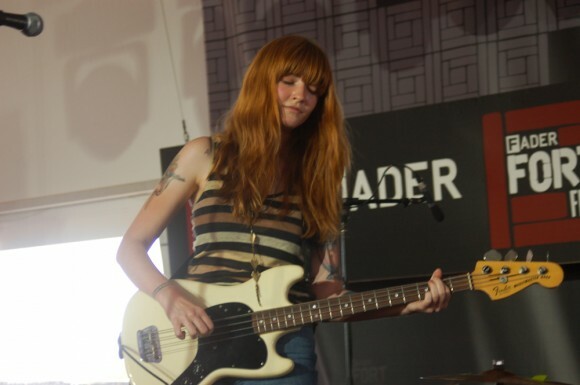 Still good, just might have been the wrong environment.